Botanical Garden was very quiet when I arrived at 7 am. 22 September was a national public holiday and I guess many city folks were still snoozing and cuddling in their beds to earn a precious morning of sleep on a week day. Wild Bird Club Malaysia (WBCM) was approached by a resident association, in this case, the Persatuan Penduduk Bandar Utama 12 (PPBU 12) of Petaling Jaya, to introduce bird watching to the residents. By 8 am, all the participants had gathered at the restaurant beside the multi-storey car park and Chan gave a brief introduction of the common birds in our gardens to the party of 15 people, including 5 enthusiastic children. 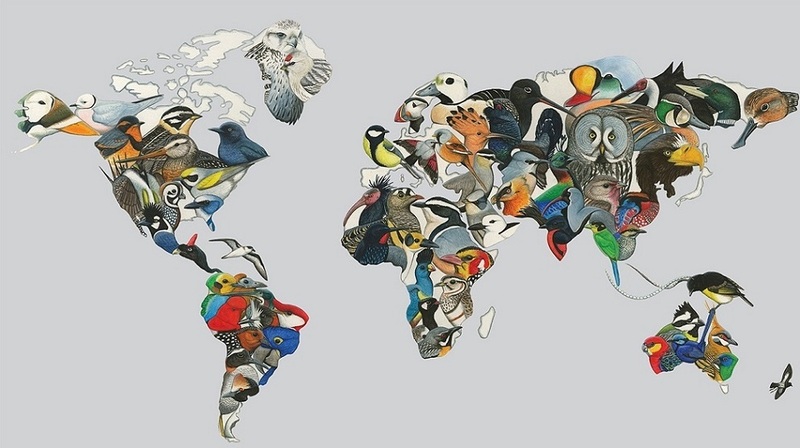 What is bird watching without binoculars? WBCM was fortunate that Schmidt Marketing Sdn Bhd had agreed to loan us 6 Minox binoculars for this event. Participants were reminded to take good care of the binoculars and with this, everyone happily trudged into the garden to begin a adventurous morning of bird watching. Tang Tuck Hong was gracious enough to lead the tour and he brought along a scope with him. Besides the binoculars, the children were also fascinated with this piece of equipment. 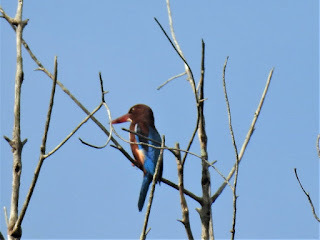 The scope was indeed helpful to give the participants a very good sight of not only the birds but also for them to appreciate the beauty of some birds, example Pink-necked Pigeon, White-throated Kingfisher, Blue-throated Bee-eater, Black-naped Oriole and Stripe-throated Bulbul. After 20 minutes of walking, we were attracted to the sight of a few big birds perching and flying about the branches of a big tree. 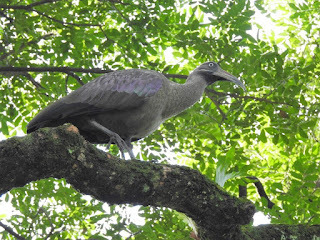 It turns out to be Hadada Ibis but to the children, it was all ooahs! !and aars!! as they were awed by the sight of such a big and beautiful bird. As everyone was captivated by this sight, 2 White-breasted Waterhens shyly ran into some bushes from the nearby pond. As we walked along, everyone caught sight of other common birds example Oriental Magpie-Robin, Little Egret, Rock Pigeon, Spotted Dove, Asian Glossy Starling, Yellow-vented Bulbul, Common Myna and Javan Myna. Along the way out to the entrance, we were attracted to a series of loud, resonant and quickly repeated Tonk, tonk, tuuk, tuuk ……………….call. After a brief scan of the trees, Tang caught sight of the colourful Coppersmith Barbet. This was followed by another round of ooahs!! and aars!! from the children. The Barbet was helpful as it perched for quite a long time for everyone to admire its beauty, listen to its calling and take photographs. We ended the trip at about 11 am. We had sighted about 20 species of birds and heard the call of 2 species (ie Common Tailorbird and Red Junglefowl). Besides Tang and Chan, 2 other WBCM members were also present to lend a helping hand ie Tang Pok Yew and Wong Yoke Keng. Although the four of us had just returned from a four-day bird watching trip to Sarawak a few days ago, our enthusiasm to share the hobby and beauty of bird watching with the residents, especially the children, overwhelm the tiredness of our body and legs from the trip. We express our appreciation to the PPBU 12 for inviting us to introduce bird watching to the residents. We certainly hope our effort in this outing had generated interest in bird watching to everyone especially the younger generation. 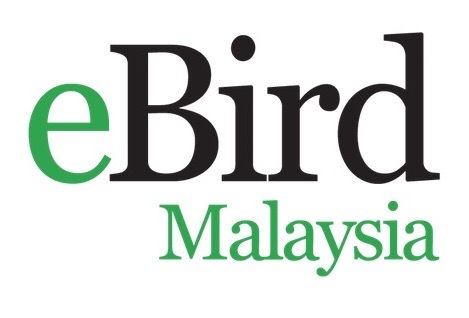 Lastly, Wild Bird Club Malaysia would like to extend its appreciation to Schmidt Marketing Sdn Bhd for the generosity in lending us the binoculars for this event.